All interested stakeholders invited to attend. This is a coalition comprised of residents, neighborhood leaders and businesses--all who care about preserving the quality of life of people effected by the Grant Road Project from 1st to Tucson Blvd. Phases 2 and 5/6. NOISE -What's the policy--How much is too much? Six landsacpe designs were created by the graduate class in landscape design taught by Margaret Livingston, Ph.D., Professor of Landscape Architecture, College of Architecture, Planning, and Landscape Architecture. Those were presented at a public meeting Nov 28. The plans are now posted to the Jefferson Park website, at the link above, for all to see and comment upon. Submitted September 30, 2017 to AZ Forestry Division for a linear Park. TIMING FOR THE CENTRAL SEGMENTS and CENTRAL CENTERS (intersections which are commercial) will happen in two different time frames. Land Use Issues - what will happen to vacant land after the roadway has been cut. i.e. will it be green space, commercially developed, have buffers, berms etc? NOTE: Per the amendment to the Grant Road Vision Statement all remnant parcels in the Central Segments (First to Tucson Blvd) will have no overlay, no change in zoning. i.e. R-1 will remain R-1 zoning, NR-1 will remain NR-1. ﻿THE GREAT WIDENING - A SLIDE SHOW- This power point was created by S. Studd, of Mountain/First neighborhood. it was presented on August 22 to neighbors and stakeholders who wanted to review what has happened in the past 2+ years of neighborhood involvement in the Grant Road widening process. Published for your review below. 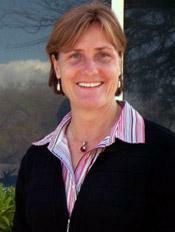 Karin's Uhlich's e-mail of support to Tucson Mayor and City Manager!!! 1) PAG is continuing to work with us on funds for the Heritage and Health trail (involving Banner, Jefferson Park and area neighborhoods; we need to sustain the City's commitment (already approved as an exception by RTA/PAG given City plans to keep it as Park) to HOLD AND NOT MARKET/SELL the remnants between 1st and Campbell (Tucson) as leverage for the project. While the National Parks grant did not come through, there are opportunities for funding (state and federal) that are being pursued. 3) PAG/Farhad has agreed to serve as lead and submitter of other proposals (with City as key supporter/collaborator. ADD MY NAME AS A COALITION SUPPORTER! Your input is important! Give the coalition your feedback. Sign on as a supporter of the those who are volunteering their time to work with the city to make the Grant Road Project sensitive to urban neighborhoods.